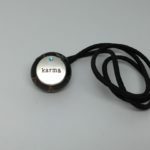 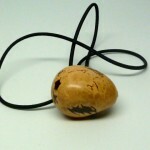 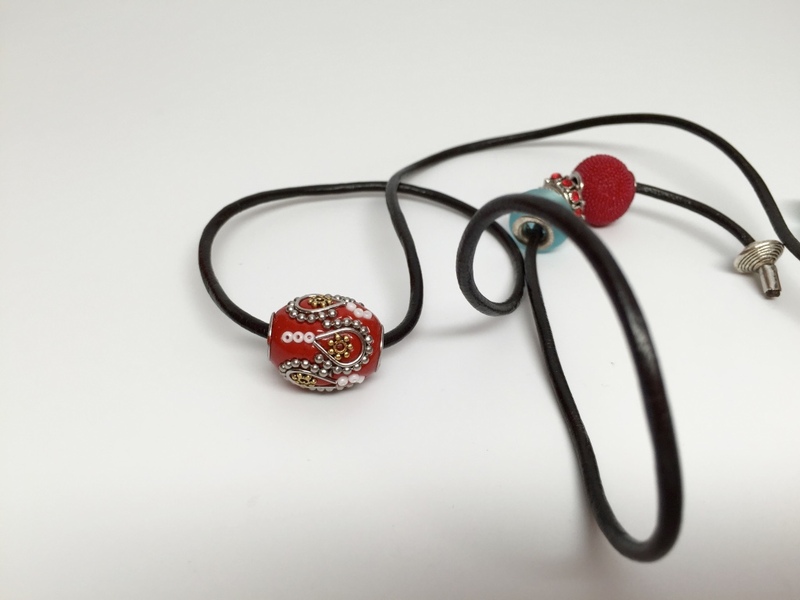 Leather Hair Tie – can be worn as hair tie, headband, necklace, and bracelet. Click on the “Loc Accessories Video” tab at the top for the “How To” video. 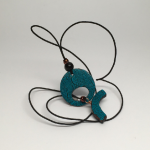 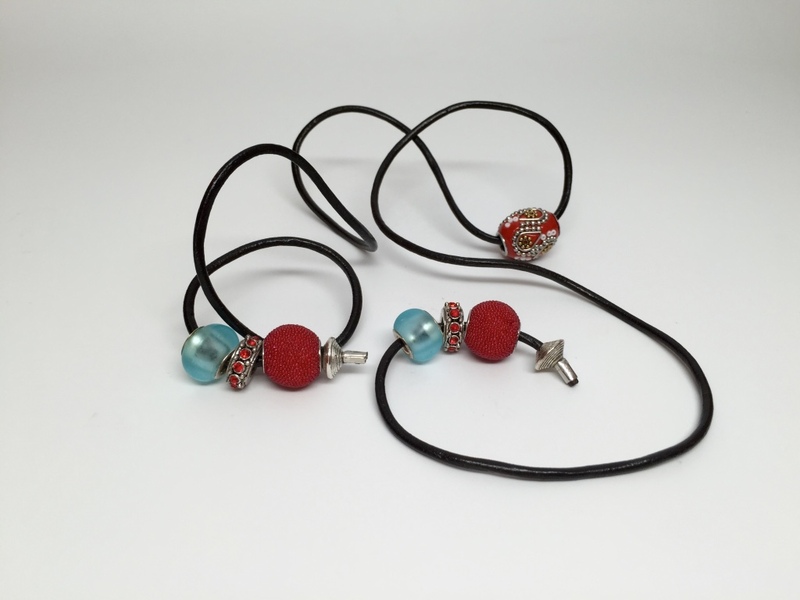 Black leather rope with red and light blue metal beads. 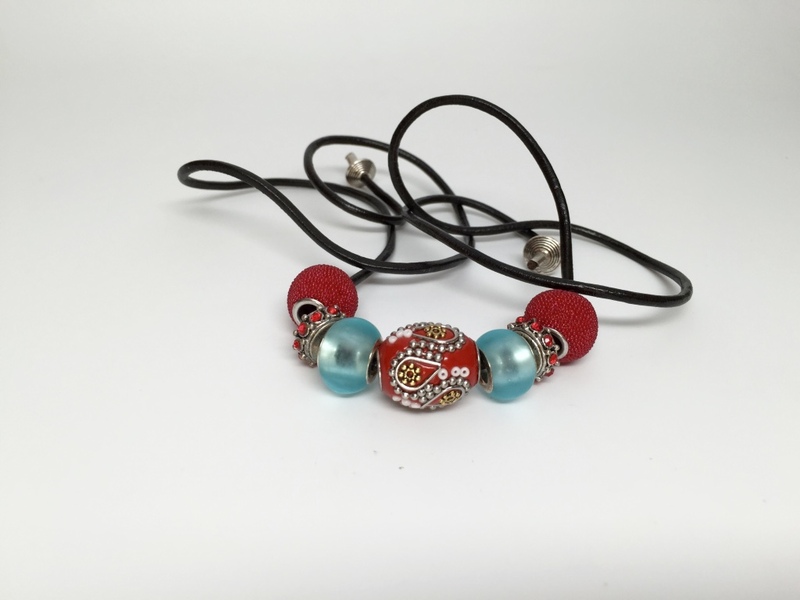 This is a true hair tie, as you actually tie it with the amount of tension desired for the look you are after. 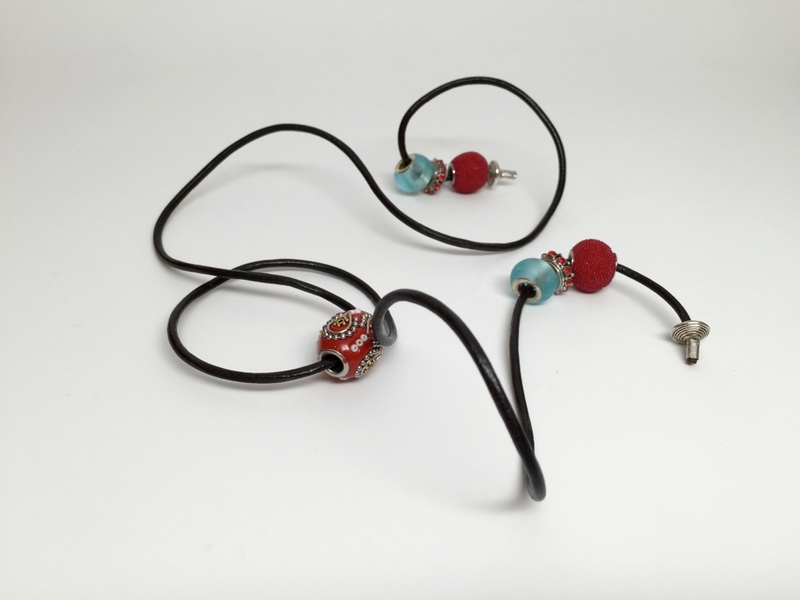 Depending on the size of the beads, bead length is around 3″. 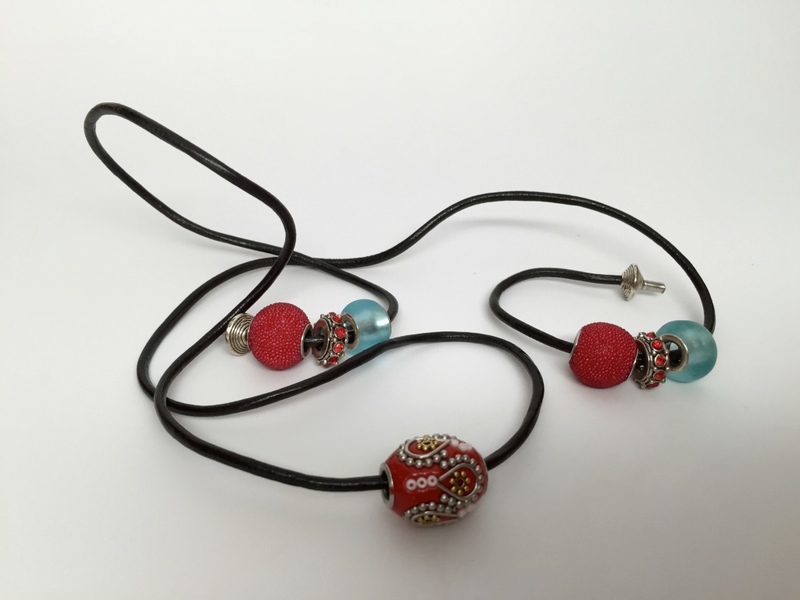 Be the first to review “Leather Hair Tie Red” Click here to cancel reply.